Christianity is one of the most popular religions in the world. It is an Abrahamic religion. Members of the religion are called Christians It is a monotheistic religion, meaning it has only one God. 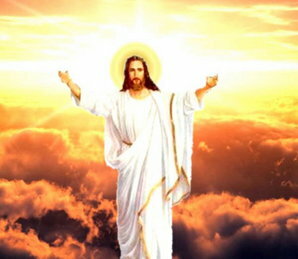 It is the largest religion in the world and is based on the life and teachings of Jesus of Nazareth. Christianity is an Abrahamic religion that began as a Second Temple Judaic sect in the mid-1st century. Originating in Judea, it quickly spread to Europe, Syria, Mesopotamia, Asia Minor, Transcaucasia, Egypt, Ethiopia, and India, and by the end of the 4th century had become the official state church of the Roman Empire. Following the Age of Discovery, Christianity spread to the Americas, Australasia, sub-Saharan Africa, and the rest of the world through missionary work and colonization. Christianity has played a prominent role in the shaping of Western civilization. Throughout its history, Christianity has weathered schisms and theological disputes that have resulted in many distinct churches and denominations. Worldwide, the three largest branches of Christianity are the Catholic Church, the Eastern Orthodox Church, and the various denominations of Protestantism. The Catholic and Eastern Orthodox churches broke communion with each other in the East–West Schism of 1054; Protestantism came into existence in the Reformation of the 16th century, splitting from the Catholic Church.